The newest release from the Greater Magic Video Library is also the first ever instructional material of this classic effect. 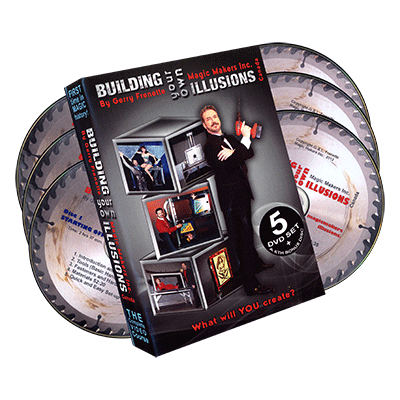 Learn and enjoy Gene Anderson's well thought out routine. 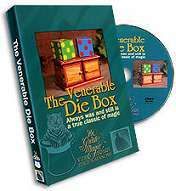 Learn from master, Billy McComb and his great routine with a simple Die Box. See many rare collectible Die Boxes form the "crypt" of Joe Stevens and how they work. Fed Baisch -- a hard working "pro," performs two different types of Die Boxes. Karrell Fox--The Foxy One-- presents his own special routine with an Abbott's Die Box. Dust off your Die Box, and get ready to put it to work! It's not the Die Box that makes it entertaining and mystifying, but rather the routine and presentations!